Strange but true! A flashlight can save your life if you know which is the best! With excellent brightness, a flashlight serves as a guiding star, and it is used for self-defense in the darkness. Have you decided to go adventure trip this summer? That might be excellent for this plan. Then what you really need is a flashlight, especially the 18650 one! 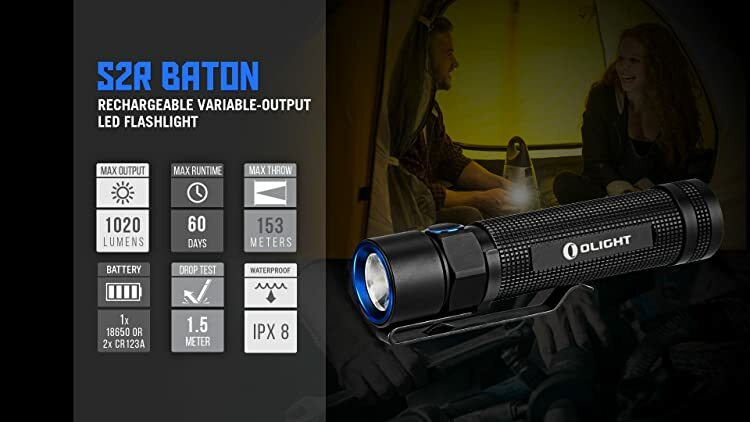 This kind of flashlight uses 18650 battery size term – so named for its lithium ion at a size of 18 mm diameter, 65 mm length and cylindrical shape. 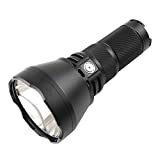 If you are selecting an EDC flashlight for going camping, hunting or hiking, why not take a look at this detailed list of the top 6 best 18650 flashlights? 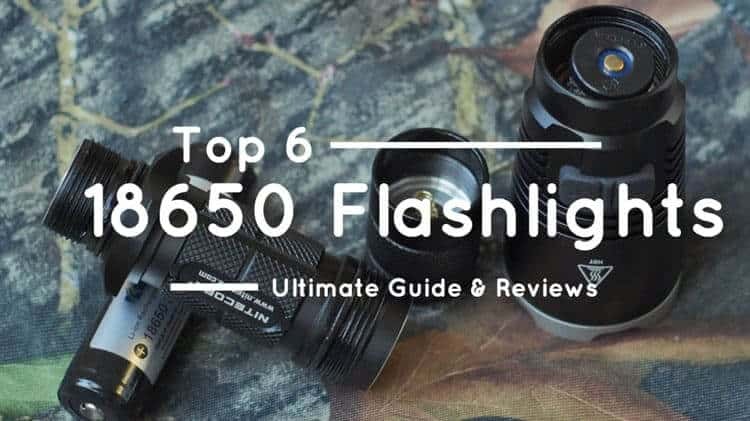 How to Choose the Right 18650 Flashlight? 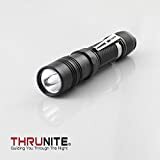 1.ThruNite® TN12 EDC LED Flashlight – The Best & Most Cost-effective LED EDC Light! There are many factors to consider before opening pocket to buy an ideal flashlight. What do you need it for being the suitable one, how bright is it, what type of batteries does it need and does it use disposable batteries in a flashlight? 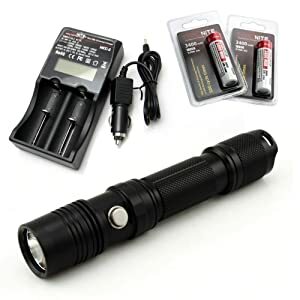 If the most popular battery type for flashlight users is the AA, there’s a controversy that the most popular battery type for flashlight users is the lithium ion-based 18650. The fact that a single 18650 battery gives out the same power as three disposable batteries, you can recharge it whenever you want, and you can see where we are going with this. The dimensions of the 18650 also mean that it can be replaced by two CR123A batteries, providing users some options in case they don’t have access to a charger. For use in a flashlight, the 18650 is perfect. It is small but provides a high voltage for a long time. If you want to take your flashlight game to the next level, you should be seriously considering an 18650 model. Here are reviews about our 6 best 18650 flashlights for detailed pros and cons of each product that help you find out the most suitable ones. 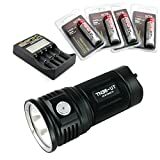 ThruNite® TN12 EDC LED Flashlight can be used for hunting, camping, military, law enforcement, firefighters, police, army, emergency, security, and for any tactical use. 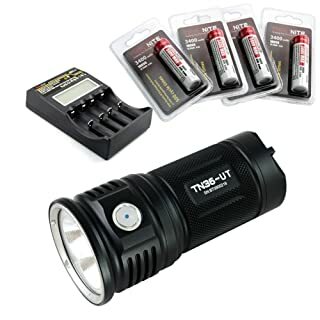 The TN12 (2016) Flashlight uses only one 18650 battery or two CR123A batteries and adopts latest Cree XM-L2 U2 LED to give out max 1050 ANSI lumens. This version of TN12 has the better LED focus function than TN12 (2014). It is more than needed to cover everyday use. Moreover, the compact size of this light enables you to take it anywhere in your backpack, pocket or on even on your gun. To turn the light on, you only need to press the tail switch gently for momentary-on. Press again to turn it off. Then push the side switch to cycle through Firefly, Low, Medium, High and Max modes. Five 5 brightness setting modes make it easy to use with a simple accessible push button. Therefore, you can lower the brightness to save battery, or avoid bothering other people. It runs on only one 18650 battery, which is going through smoothly. Therefore, you had better bring along extra batteries or use rechargeable LI-ION 18650 battery. The unique Firefly mode of ThruNite is truly a low-level light. That is very useful for getting up at night for a latrine or munchy break or guiding the way without blinding yourself while awake from sleep, reading a map while surviving or just read in its original beam to protect the eyes. 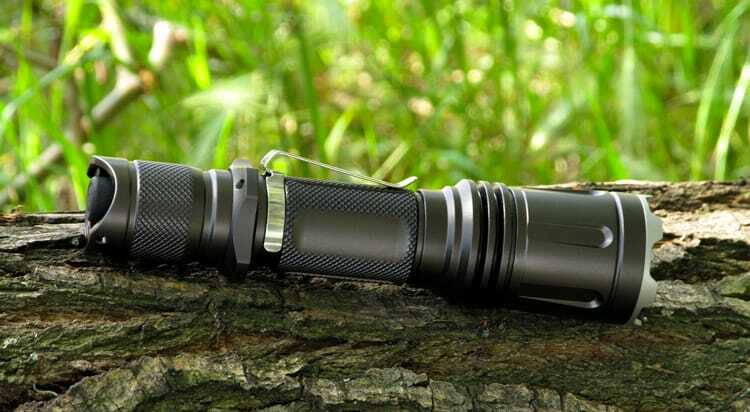 This 0.4 lumen setting Firefly mode is similar to moonlight, which is what ThruNite keeps doing to be considered for every user, tactical or regular. 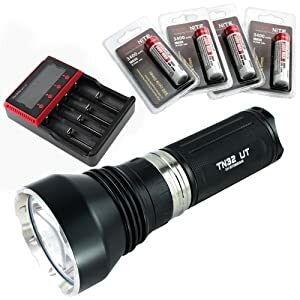 ThruNite® TN12 EDC LED Flashlight with the rating IPX-8 is protected from accidental submersion in 2 meters (about 6.6 feet) of water for up to 30 minutes. It is made of superior stain steel aircraft grade aluminum for durability and sharp looks. The PD35 Tactical Edition remains a pocket size but has a higher output and focuses on tactical function. Measured at less than 137 mm in length x 25.4 mm diameter and 89 gram in weight excluding battery. It features up to a 1000-lumen output and has a beam distance of up to 200 meters. There is Outdoor and Tactical Mode in Fenix PD35 TAC. In the Outdoor Mode, the Fenix PD35 TAC has six output modes: Turbo, High, Mid, Low, Eco, Strobe. The Tactical Mode, which consists of Turbo, Low and Strobe, strengthens the PD35 TAC with a fast and simplified operation. From outdoor to law enforcement use, you can make use of it. The disadvantages are the battery power and can get hot very easily on high settings. It can run out of your batteries very quickly if used a lot. Some people have reported that the flashlight tends to heat up quite quickly. 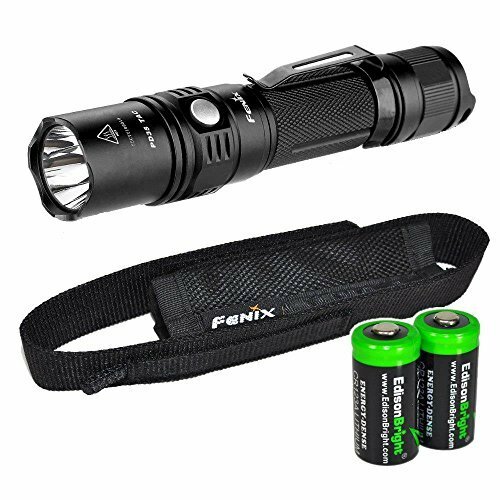 The Fenix PD35 Tac flashlight has a tactical side switch design that comes with a momentary-on activation of 1000 lumens, one-button operation. Fenix PD35 TAC with Cree XP-L(V5) LED with a 50,000-hour lifespan. Low-light feature glows red when low battery power is needed to replace. 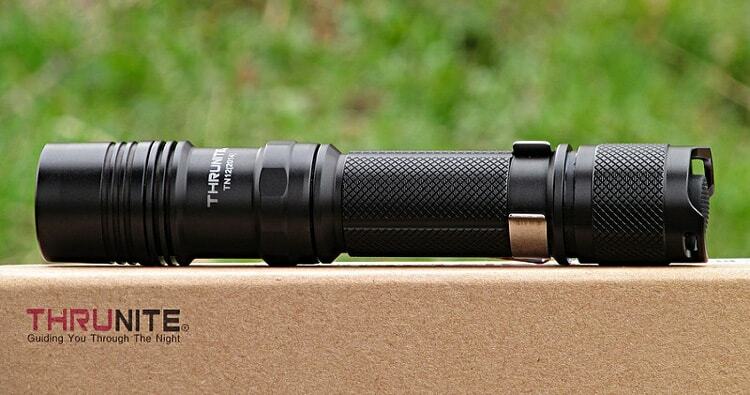 The ThruNite TN36 is one of the brightest torch flashlights available, with 7300 lumens at its brightest setting. 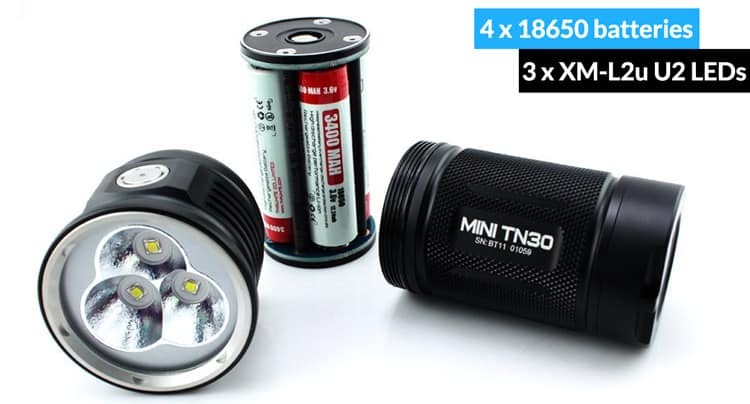 With a lifespan of over 20 years, ThruNite MINI TN30 ranks NO.1 in 3000-lumen brightness flashlights. There are 6 modes available: Firefly, low, medium, high, turbo and strobe. Its max output can reach 3200 lumens with four 18650 batteries. 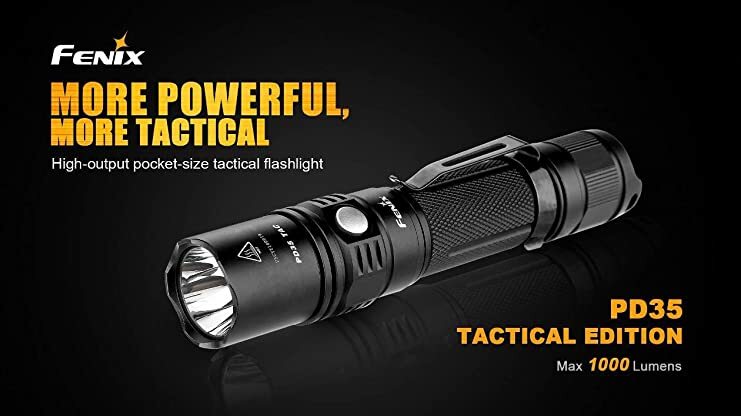 You can use it for various applications such as: law enforcement, EDC, security, camping, emergency, medical services, duty light, and self-defense. With a compact body similar to the size of a 330ml Coca-Cola, ThruNite MINI TN30 is easy to bring along with you. The updated electronic system make it even better for performance. The advanced electronic metal switch with low voltage indication for silent operation, and ITC (Intelligent Temperature Control) technology to protect the Mini TN30 from overheating. Olight SR52 Max 1200 lumen output with 637 yards throw. 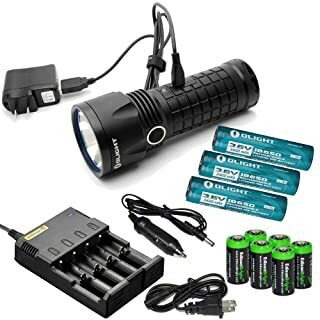 It runs on three Genuine Olight 3400mAh 18650 Li-Ion rechargeable batteries or six EdisonBrigh CR123A lithium batteries. 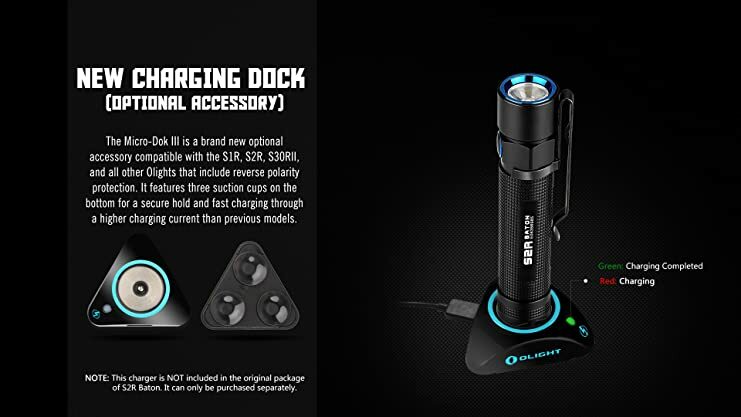 The bundle includes Nitecore smart battery charger with a micro-USB port allows rechargeable batteries to be charged inside the light. A charging indicator will notify you when the light power is fully charged. A battery power LED indicator indicates red when the batteries are low. Olight SR52 Intimidator flashlight has no flaws. From the off position, Olight SR52 automatically returns to your last brightness level thanks to the built-in memory function. It also has lock-out feature to prevent accidental activation. This product has no disadvantages at all. TN32 UT CW designed for flash holies. The Max output available can be up to 1150 Lumen. Compared to other high-end tactical using 18650 battery, this light is a handful – like holding a drainpipe. ThruNite TN32 is one of the best throw flashlight with max beam distance is 1043 meters and runs on three batteries 18650. Copper circuit warehouse gives better heat dissipation performance. TN32 has a max output even stronger than TN31 XM-L2 version. It has better heat dissipation performance. Otherwise, streamline design, and very beautiful body make it perfect. It is only 650 grams and light to bring along. Overall, TN 32 is good for tactical, military, law enforcement, self-defense, hunting, search, rescue and outdoor activities purposes. The S2R is an updated side switch LED flashlight powered by only one 18650 battery or two CR123A lithium batteries. It uses Cree XM-L2 LED which can deliver a maximum output of 1020 lumens and Max 153 meters beam distance. 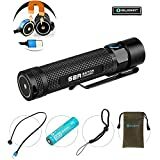 This flashlight is 8.2 inches long and has 2 inches Bezel Diameter, which makes it small and portable. The S2R is the best in People’s Choice for a flashlight that can take one 18650 battery and still have an extremely small form factor. However, there is a disadvantage that the on-off switch which is hidden at the front by the light glass and is not easy to detect in the dark where you need it most. Olight S2R has 6 Standard Modes: 1020 Lumens, 500 Lumens, 120 Lumens, 12 Lumens, and 0.5 Lumens with Strobe Mode. The special thing in this flashlight is that it allows you to set a three or nine minutes time frame before the light shuts off automatically. All you need is just double click the switch to enter into the timer mode. Flash once if you want 3 minutes and flash twice for 9 minutes. The tail cap is flat, so you can place the flashlight upside down and use it as a hands-free. 2 LIGHT TIMER -Amazing count down light tool . When you are investing in one of these best 18650 flashlights, you need to look at how they are put together. Price is always important, but the quality should be take into consideration at first. And I hope that based on my review above, you can choose for yourself, not the best, but the most suitable for yourself. I looked at these on Amazon and the prices are not even close to what you are showing. Perhaps they raised the price since you gave them top reviews?? ?